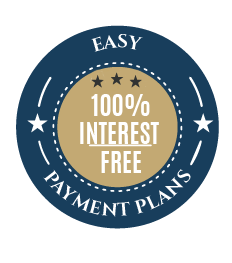 New Easy Interest Free Instalment Options! Now you don't have to worry about coming up with a big investment to lock in your wedding date with us. You can simply choose your wedding photography option and set up easy weekly, fortnightly, or monthly instalments until your big day! Better yet, there is no interest, & no extra admin fees. Contact us now by filling in the form below for a totally free quote & info pack for your big day!